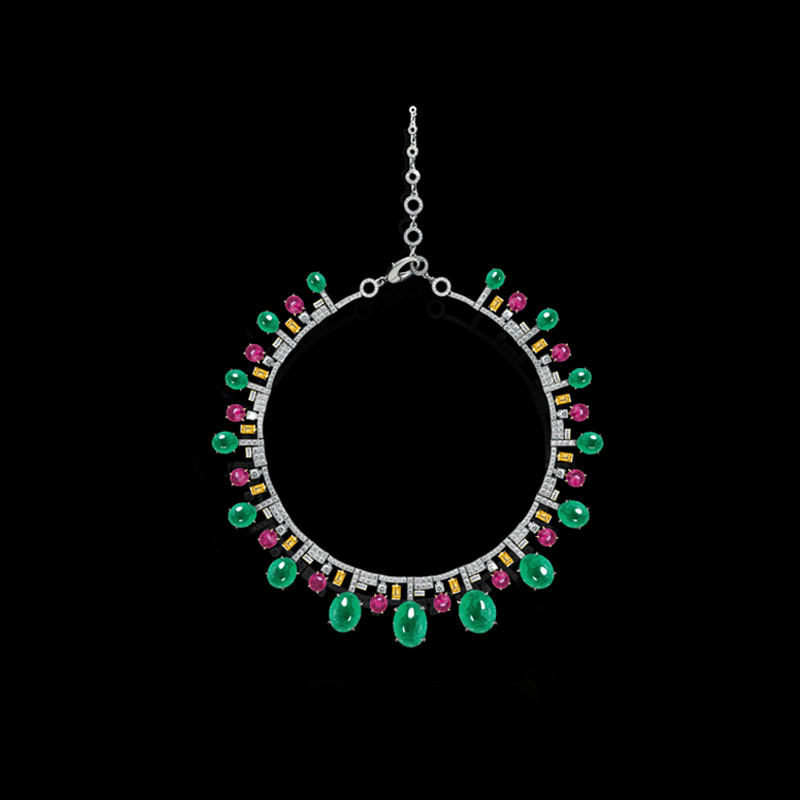 Cubism Starburst necklace with diamonds, cabochon colombian emeralds, pink tourmalines and yellow sapphires in 18ct white gold. Regina fine bracelet with diamond and Australian black sapphire in 18ct pink gold. Also available in white or yellow gold. Canturi Cubism 4 strand multi articulated diamond waterfall ear pendants featuring baguette and carré cut diamonds in 18ct white gold.